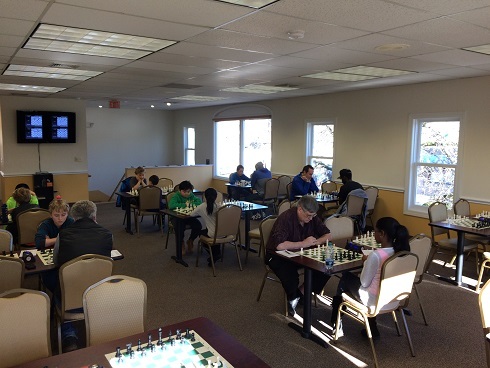 This Saturday G/45 Quad was jam-packed, with 22 players in four quads and one swiss. 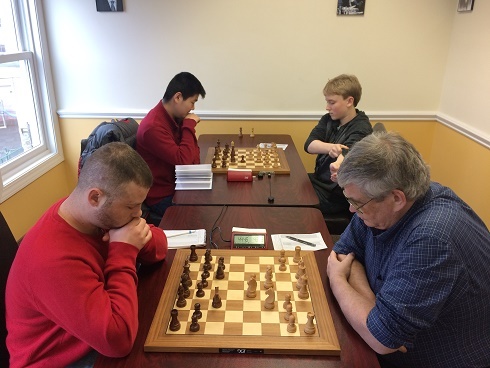 FM Leif Pressman was the favorite and played a perfect tournament, winning the section and all three of his games. 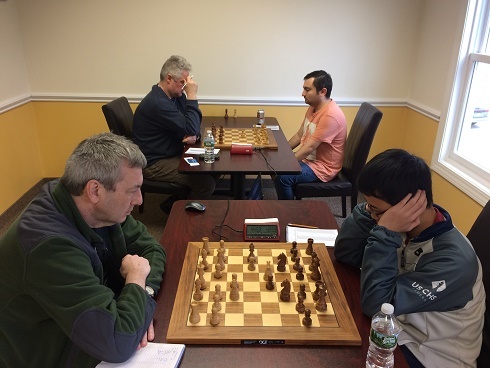 In quad two, Eric Song clinched the win, despite a tough loss in the third game. Guy Colas played a hard-fought tournament and won quad three. Although he only won one of his matches, by drawing the other two, Jed Sloan was able to come out on top in quad five. Finally, Ben Persily won the six-person swiss by winning all of his games. Congratulations to all the winners and thank you to all the participants. We hope to see you all again soon!